This is the first of a two-part series on how “gamification” can improve your website and online marketing efforts. “Gamification” has been the buzziest of buzzwords for awhile. The word means pretty much what it suggests: the application of elements of game playing to non-game contexts. It’s being used everywhere, from online marketing to e-learning to traffic violations. In video games, you should allow the user to have a small victory in the first five seconds of play—e.g., picking up a necessary item, defeating a simple foe, selecting your character’s name, etc. We shouldn’t design websites to get everything all at once. Doing so risks alienating our users. Instead, we should engage them in things they are already showing interest in. This is why so many websites use Facebook as a login. Facebook is becoming the “key” to the internet. Your data is extracted from Facebook to create an account without you having to complete a form or become a paying customer. One click and you’re done. No friction. Many of our clients want to take an outdated, unattractive website and make it visually beautiful. We get it. We love gorgeous websites, too. But more important is the content of the website. Because content—and how it’s organized online—determines how effectively your website supports your business goals. That’s where testing comes in. You should be testing everything your users do online—and changing things to see what improves your conversions/sales/sign-ups/etc. For example: In a previous professional life, I worked at a major online gaming company. We would test everything, from font size to site structure. We would change the color of a button to see if it earned a higher click rate in several different markets. And when we eventually identified the clear winner, guess what? Every button became that color. Here at TradeMark, we strive to find the “why behind the what” and encourage people to see what works and what doesn’t. After all, we don’t know what we don’t know. In the gaming industry, everyone is a salesperson. No department is exempt from finding ways to sell what you love. Same goes for your organization—and your website. Treat your site like a salesperson, and empower your staff to contribute to its success. Find ways to position what you do in a way that leads to a conversion, or sales, funnel. Be creative. Lure your customers with value. Produce great photos. Write interesting Web copy. Show users how you’re unique. Find your voice, then shout it from the digital rooftops. 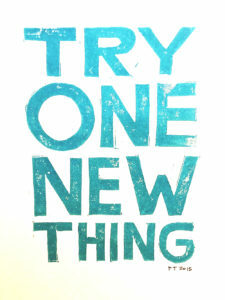 The mantra, “Try One New Thing,” is from a book we love—Raving Fans by Ken Blanchard. The idea behind the poster is simple: If everyone tries to be 1% better every day, the impact across your organization will be huge. Gamers are always trying to try new things to find a better way. Treat your website like a small digital playground, where everyone contributes—and where effective ideas take root and ineffective ones are left behind. It’s 10x more expensive to create a new customer than to keep an existing one. So consider ways to upsell your users on your website. For example, when someone looks at your product pages online, show them other products/services that people have bought. Amazon is killer at the upsell. 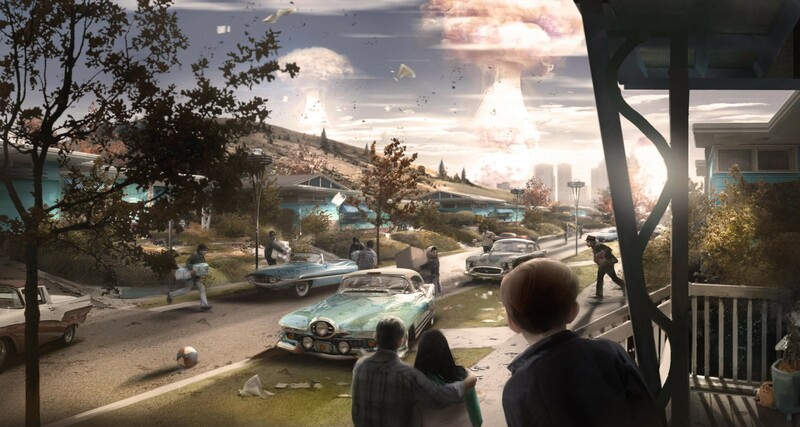 They created the “bundle”—inspired by “credit bundles” from the gaming world. The idea is simple: You get more for less if you buy it all together. 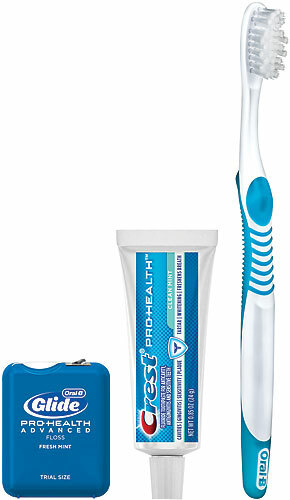 So instead of buying just toothpaste, why not buy the toothpaste-toothbrush-floss combo? Also on Amazon, after you’ve purchased something, Amazon places a “Suggested Item” into your queue—a recommended item you want but forgot you wanted. Getting someone to buy something they already want is much easier than convincing them they need it. People love bragging rights. So tell them they did a good job. Tell them they did better than their Facebook friends. Give them a short poll and when they complete it, let them share their results to their Twitter account with a single click. If they download your demo software or make a donation, send them an email with a funny GIF. Gamification doesn’t have to expensive or intricate. But at each step of your user’s journey, find some way to acknowledge their engagement.